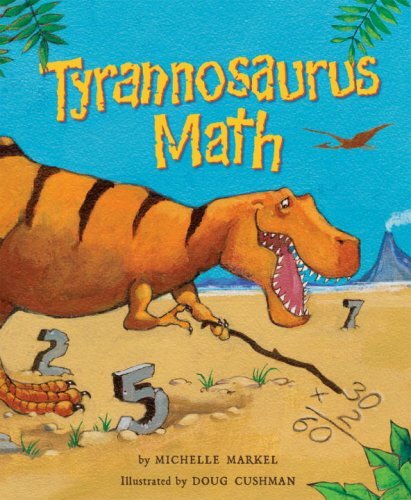 Publisher’s synopsis: This T-Rex was born with number smarts! Youngsters ages 6-9 will get a peek at his number-crunching skills as he adds up an entire herd of triceratops, or multiplies the legs of a group of ankylosaurs, & estimates the distance to his next tasty meal. 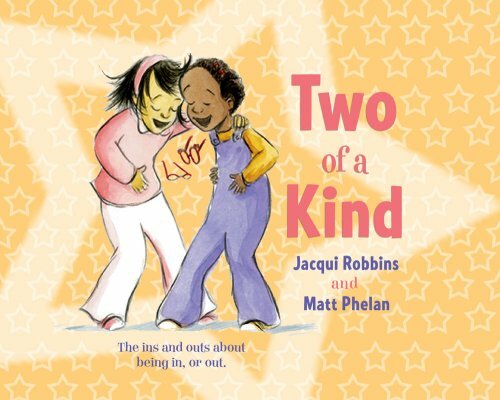 Delightful & humorous introduction to more than ten math skills. Publisher’s Synopsis: Sometimes a friend can bring out the worst in you…but a real, true friend will always bring out the best!From the creators of The New Girl…and Me comes a sweet, insightful story about the in crowd, the outcasts, and the bravery it takes to be a real, true friend. 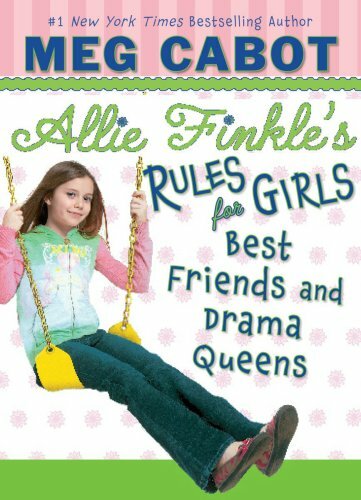 Publisher’s synopsis: Allie Finkle is excited when a new girl, who comes all the way from Canada, joins her class at Pine Heights Elementary. Now Allie won’t be the new girl anymore! But her excitement turns to dismay when the new girl, Cheyenne, starts telling everyone in the fourth grade what to do! Soon Cheyenne has everyone, including Allie’s best friends, Caroline, Sophie, and Erica, believing that if they don’t do what she says, they’ll be what Cheyenne accuses them of being – babies! But Allie isn’t sure she’s ready to be all grown-up yet. Not if it means chasing boys at recess, not playing her favorite games anymore, and especially…not being herself! Publisher’s synopsis: Get ready for the next big epic fantasy . . . In a distant kingdom a growing darkness falls over the land. One is called to defend . . . to bring hope . 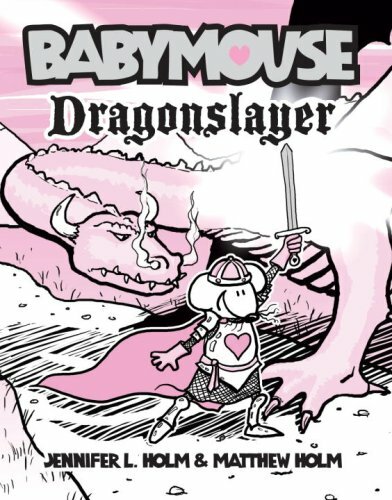 . . to slay the Mighty Dragon. . . .
Publisher’s synopsis: It isn’t that Abby Carson can’t do her schoolwork, it’s just that she doesn’t like doing it. And that means she’s pretty much failing sixth grade. When a warning letter is sent home, Abby realizes that all her slacking off could cause her to be held back — for real! Unless she wants to repeat the sixth grade, she’ll have to meet some specific conditions, including taking on an extra-credit project: find a pen pal in a foreign country. Simple enough (even for a girl who hates homework). Abby’s first letter arrives at a small school in Afghanistan, and Sadeed Bayat is chosen to be her pen pal…. Well, kind of. He is the best writer, but he is also a boy, and in his village it is not appropriate for a boy to correspond with a girl. So his younger sister dictates and signs the letter. Until Sadeed decides what his sister is telling Abby isn’t what he’d like Abby to know. As letters flow back and forth between Illinois and Afghanistan, Abby and Sadeed discover that their letters are crossing more than an ocean. They are crossing a huge cultural divide and a minefield of different lifestyles and traditions. Their growing friendship is also becoming a growing problem for both communities, and some people are not happy. Suddenly things are not so simple. 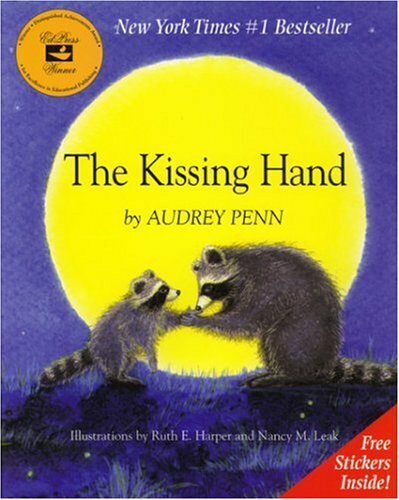 Publisher’s synopsis: In this contemporary classic Chester Raccoon seeks love and reassurance from his mother as he ventures out into the world to attend his very first day of school. Publisher’s synopsis: Lola is not so sure about school. After all, why would she need to count higher than ten when she never eats more that ten cookies at a time? 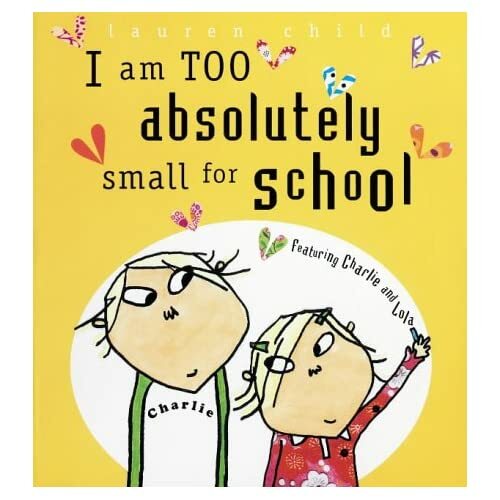 Once again, it’s up to ever-patient big brother Charlie to persuade Lola that school is worthwhile — and that her invisible friend, Soren Lorensen, will be welcome, too. Publisher’s synopsis: Spot loves school. His teacher, Miss Bear, is always there to help out, whether the class is learning to paint, reading a story, or going on a nature walk. The school day seems to end too soon, and Spot is always glad he’ll be able to see Miss Bear tomorrow. 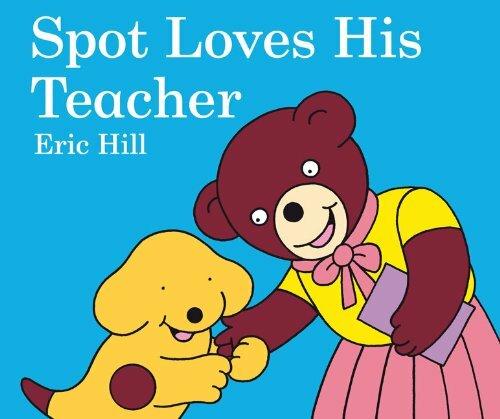 A follow-up to the popular Spot Loves His Mommy and Spot Loves His Daddy, this is a sweet book that will appeal to both teachers and first-time students. Develop a keepsake to treasure and share for generations. 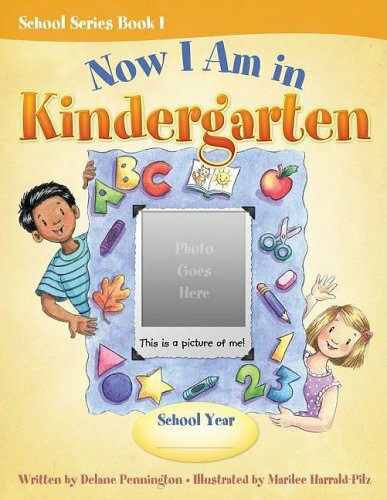 Record important first school experiences in this interactive memory book you create with your child! Years from now, Now I Am in . . . Kindergarten will be a delight, an inspiration, and a reminder of what a unique individual he or she is! Publisher’s synopsis: Hello, school children! Hello! Hello! It’s me . . . Junie B., First Grader! I have been going to school for over one-and-a-half entire years now. And I have learned a jillion things that will help you survive at that place. And guess what? Now I am going to pass this information on to y-o-u!!! I wrote it all down in my brand-new book! Bus rules, carpools, how to stay out of trouble (possibly), homework, fun work, water fountains, friends (plus children you may not actually care for). 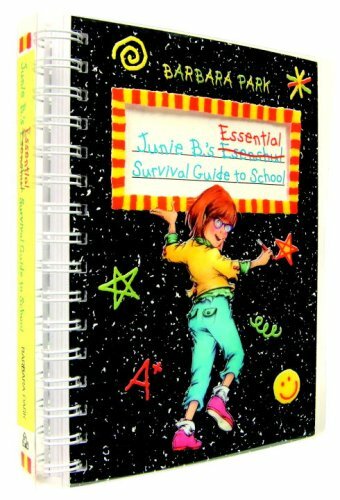 All the helpful hints and drawings are done by me, Junie B. Jones! Plus also, there are stickers and pages for you to write in! This thing is a hoot, I tell you! Publisher’s synopsis: Hector, Terrence, and Dee have always wondered about their school lunch lady. What does she do when she isn’t dishing out the daily special? Where does she live? Does she have a lot of cats at home? Little do they know, Lunch Lady doesn’t just serve sloppy joes—she serves justice! Whatever danger lies ahead, it’s no match for LUNCH LADY! Be sure to share your favorite back-to-school books in the comments below!